VALLEY FORGE, PA, AUGUST 10, 2017 — The ChartwellLaw Offices, LLP announces the appointment of Sharen Nocella as the firm’s first Chief Marketing Officer. Nocella will overseeall of the firm’s marketing, public relations and business development strategies and initiatives in collaboration with Chartwell’s Director of Client Relations Dauna Doyle, CEO Clifford Goldstein, and the firm’s Administrative Committee. Nocella’s legal marketing career spans over 20 years. 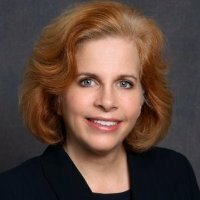 Prior to joining Chartwell, she spent six years as the chief marketing officer at Obermayer Rebmann Maxwell & Hippel LLP. Earlier in her career, she was the director of marketing at Stradley Ronon. She has been published in both legal and business publications and lectured frequently at legal industry seminars. She is a graduate of the Wharton School at the University of Pennsylvania. Founded in 2002 by four attorneys in Valley Forge, Pennsylvania, Chartwell has experienced steady and continual growth. Today, the firm has 120 attorneys and 17 offices located throughout Pennsylvania, New Jersey, New York, Massachusetts, Florida, Tennessee and Rhode Island. Chartwell’s practice areas include admiralty and maritime law, auto law, cargo and trucking, commercial litigation, construction litigation, creditors’ rights, employment and labor law, general and professional liability, insurance and reinsurance coverage and defense, products liability, property insurance and workers’ compensation cases.